Very Good. 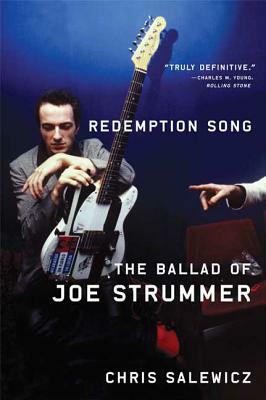 Redemption Song: The Ballad of Joe Strummer by Salewicz, Chris, 2007-05-22. Glued binding. Paper over boards. With dust jacket. Contains: Illustrations. Very Good. NDJ. Biography. Sm8vo. Very Good condition slightly smaller softcover with an "opened-but-never-read" look & feel. No creases to the paper-boards (including any tell-tale top-to-bottem crease parallel to the spine). Several glossy color photos. Stored in sealed plastic protection. 629 pages. Very Good in Good dust jacket. 057121178X. Clean text. Wear to surface and edges. Surface of jacket is torn at top front corner. ; B&W & Color Illustrations; 9.06 X 6.30 X 1.50 inches; 629 pages. 057121178x. First Edition. Fine in dustjacket. ; 8vo.